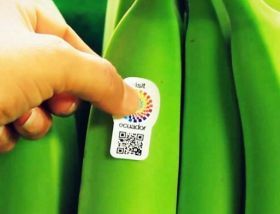 The Ecuadorean banana industry has hit back at plans by Aldi to cut the price it pays for its bananas, claiming they threaten to undermine the sustainability goals the industry has achieved to date. On 12 October, Reefer Trends reported that the German discounter was said to be insisting on an FOT price for 2019 that would force producers in supplier nations to break legal minimum reference values. In response, 32 Ecuadorean industry associations and producer organisations, including AEBE, Acorbanec and Agroban, released a letter on Tuesday opposing Aldi’s plans and accusing European retailers of undermining efforts to improve the lives of workers and protect the environment by continuously driving down prices. The letter warns other retailers not to follow Aldi’s lead and urges consumers to support their struggle. “Ecuador has come a long way in this regard. The country has very strict labour laws that ensure workers’ rights and decent wages. Farm owners have invested considerable amounts of money to obtain sustainability certifications. “However, after all the work and accomplishments made to improve production practices in the Ecuadorean banana industry, the major retailers in Europe have been decreasing their buying price on a year-to-year basis, but at the same time continue to demand for more investment in sustainability. The letter goes on to say that Aldi’s plans to reduce its banana price in 2019 would mean a US$1 price reduction for producing countries, which was “no longer manageable or acceptable”. “In Ecuador, the banana business is very organised and regulated and we work with a minimum decree price. If the Aldi price were to come into effect, exporters and growers would have to infringe the Ecuadorean law and pay below the official price,” the letter continues. The letter goes on to say that the retailers’ demands were nonsensical because they did not take into account rising production costs. It said the production costs on farms, as well as the price of carton boxes, bunker fuel and freight, had all gone up in the past year. “We, as an industry, refuse to go backwards on our sustainability efforts due to the lack of understanding of the whole business from the last link of the business chain,” the letter states. “We urge other retailers not to follow these senseless demands on price reduction, and we request consumers to let your voices be heard.